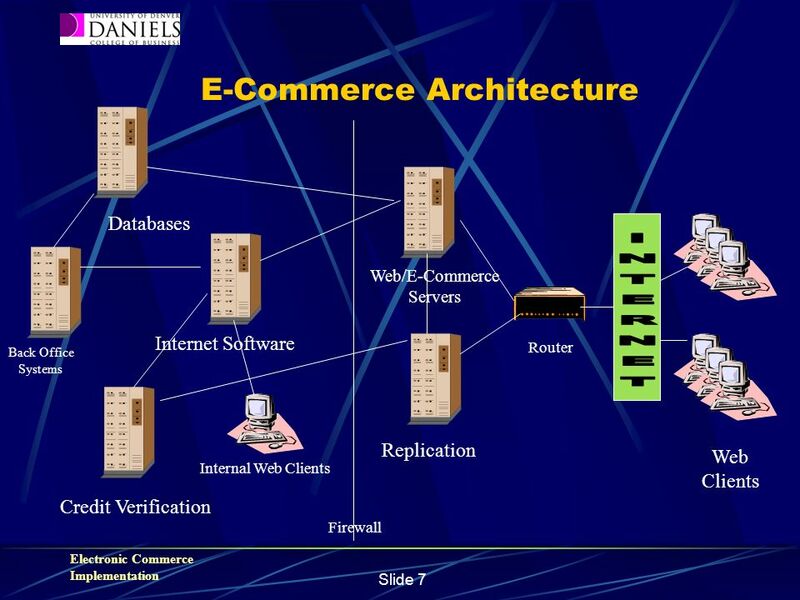 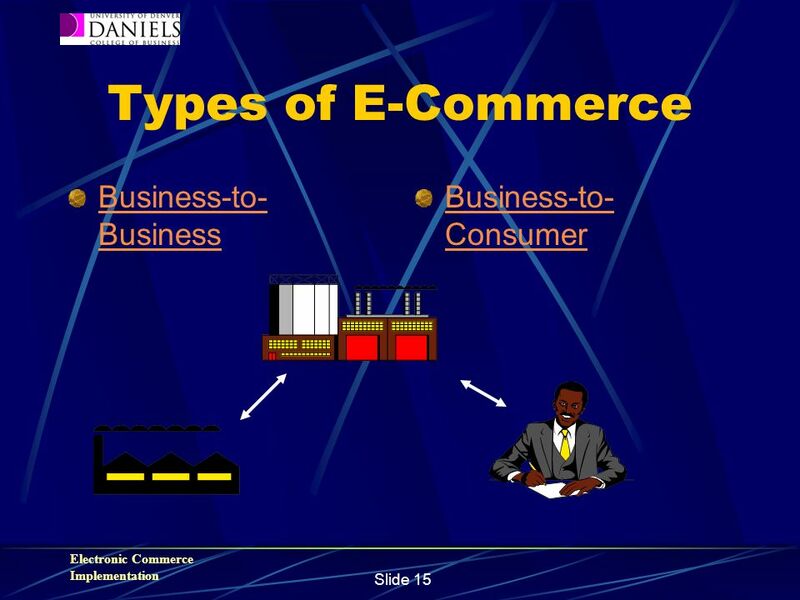 Electronic Commerce Implementation. 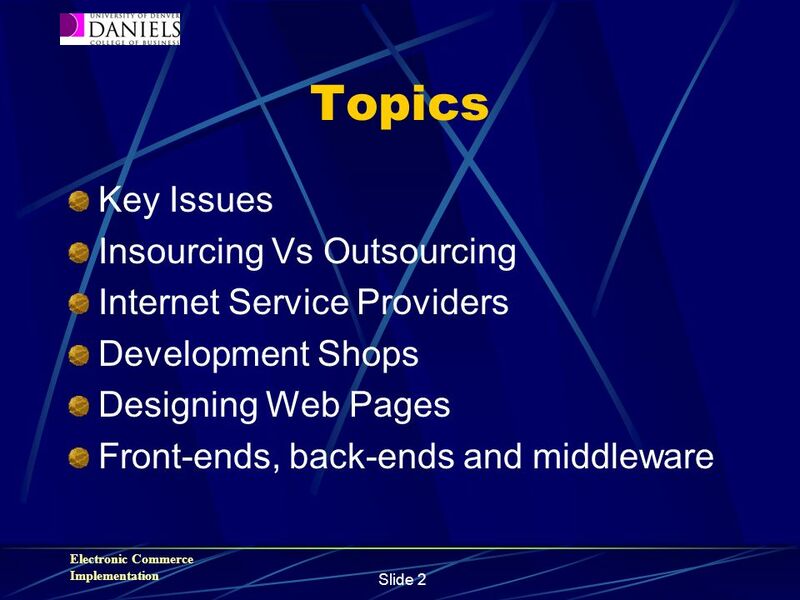 Electronic Commerce Implementation Slide 2 Topics Key Issues Insourcing Vs Outsourcing Internet Service Providers. 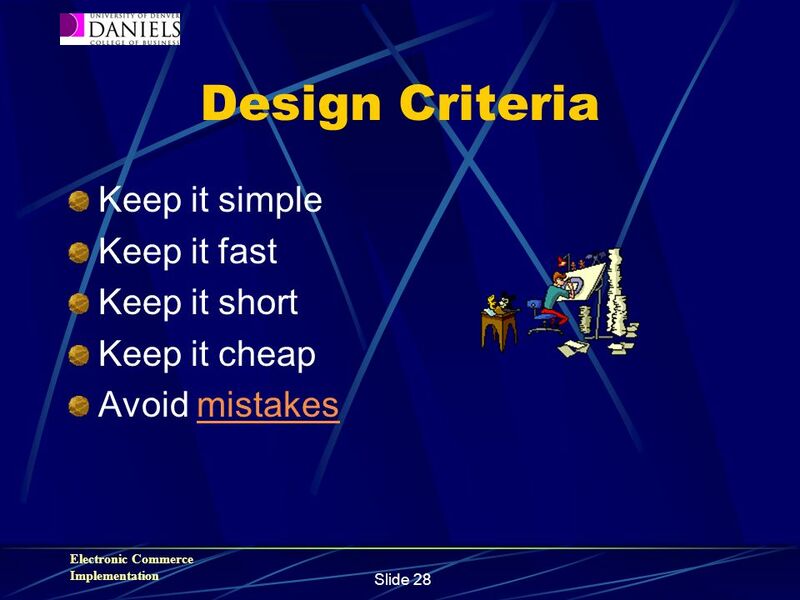 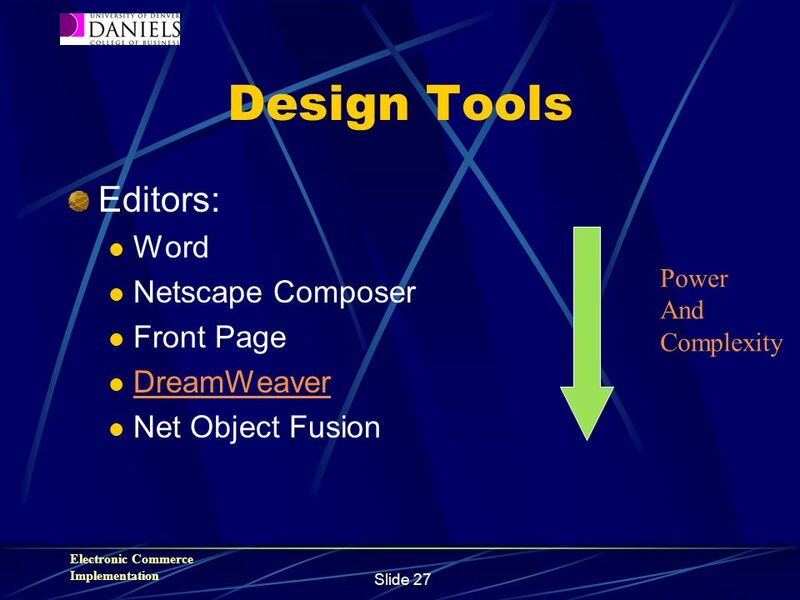 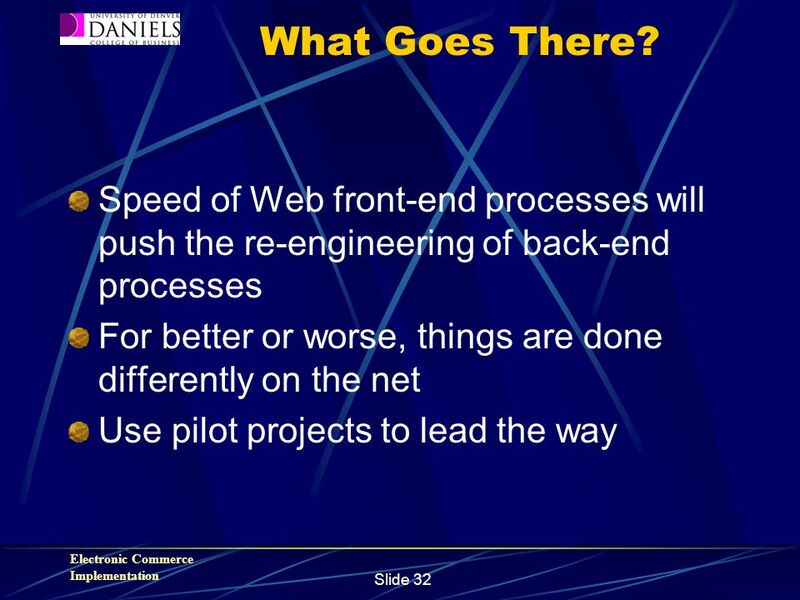 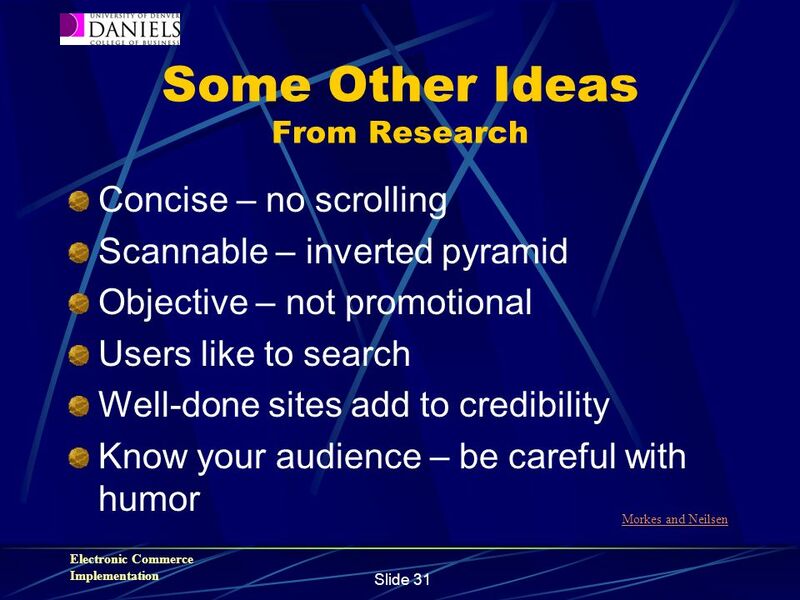 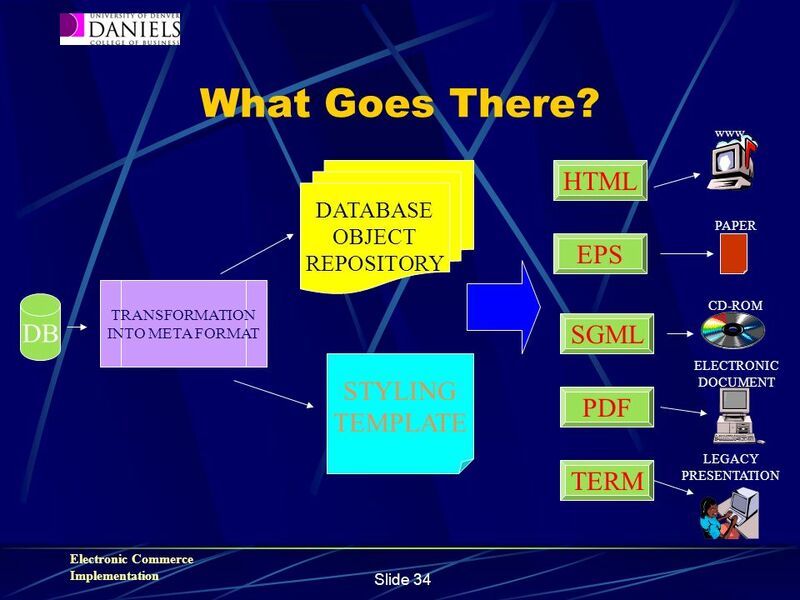 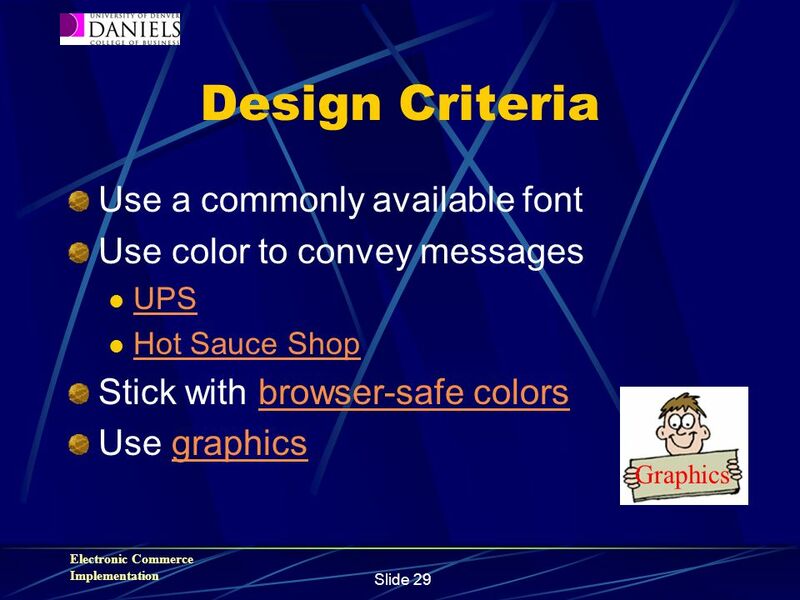 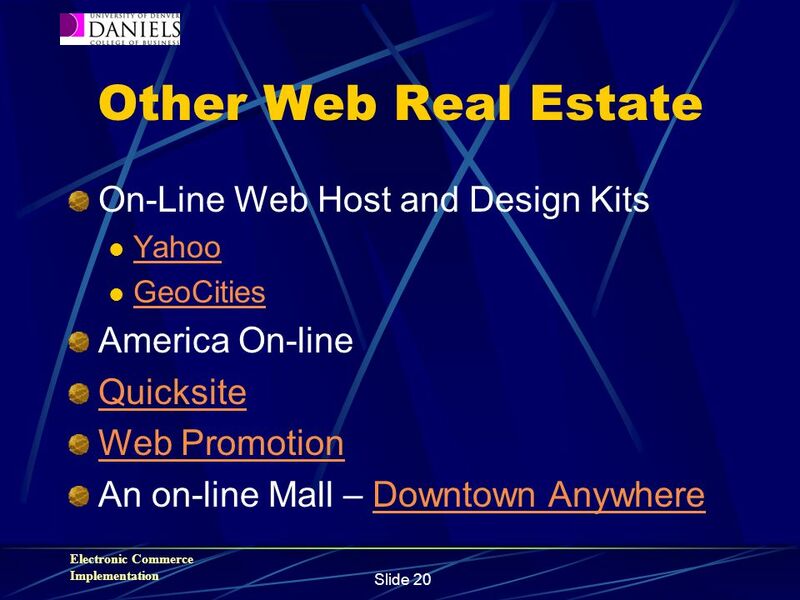 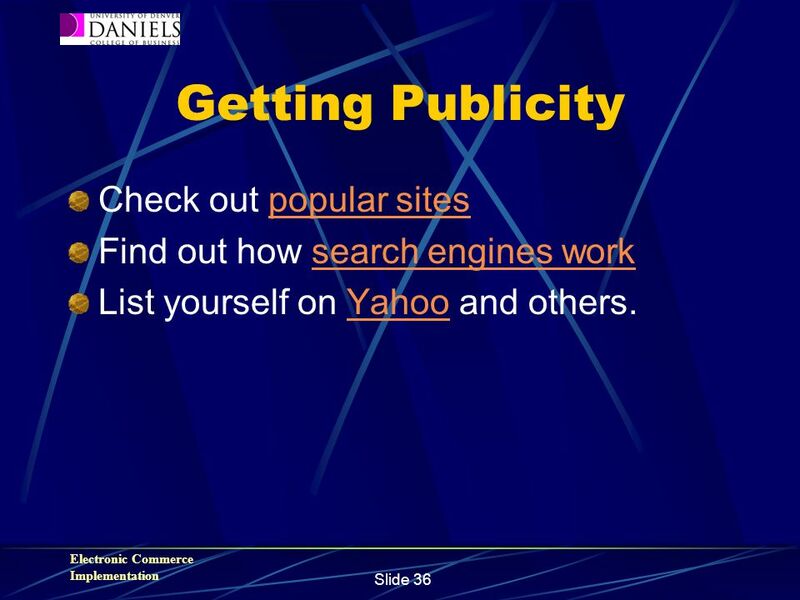 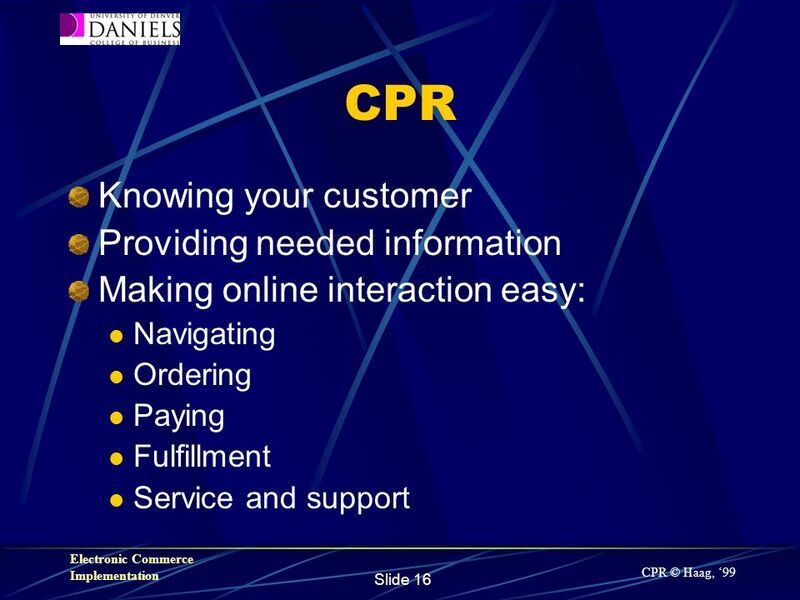 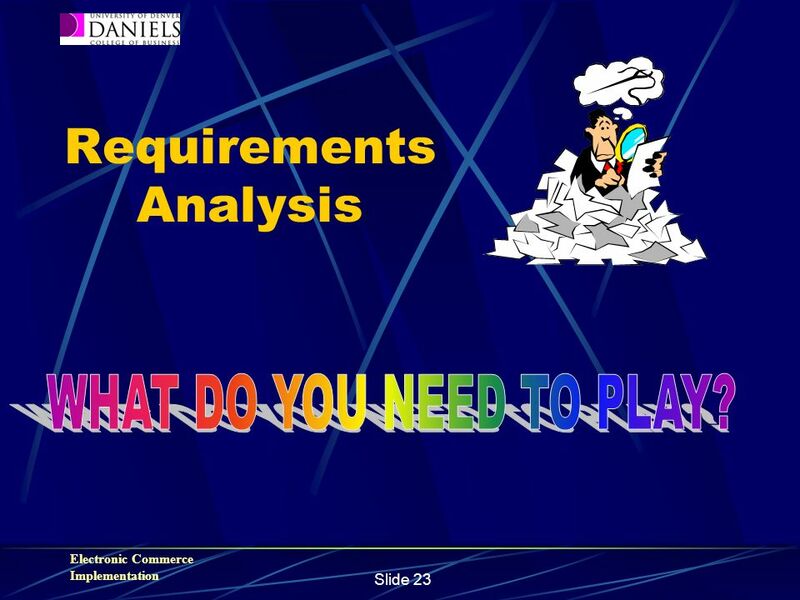 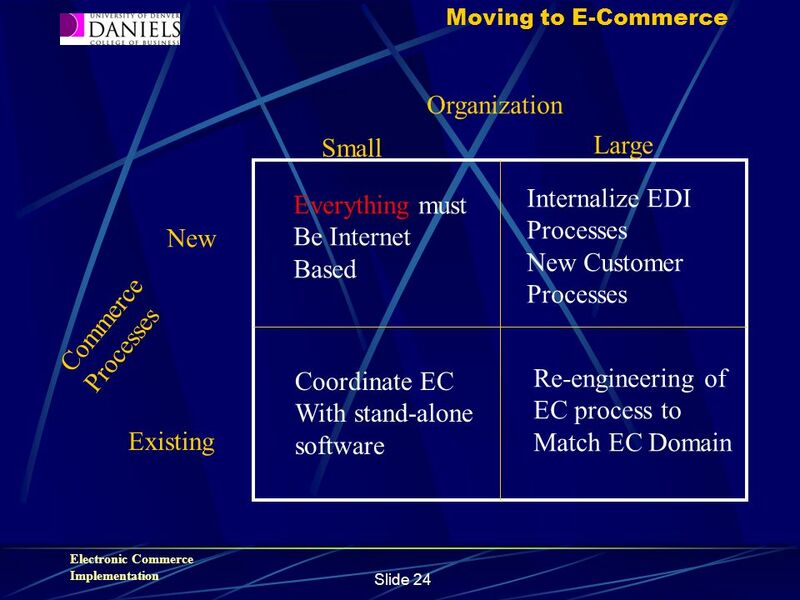 41 Electronic Commerce Implementation Slide 41 Plan your Website What will be the first thing customers see? 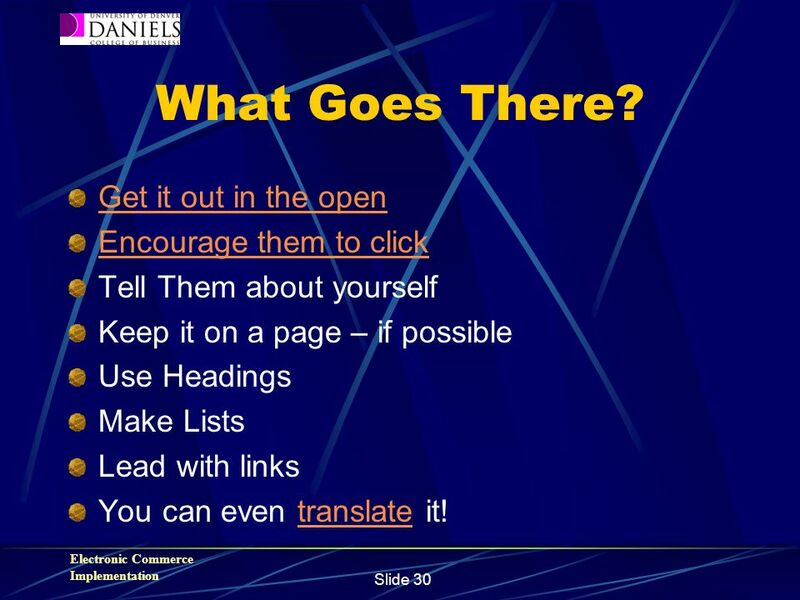 What navigation controls will you use? 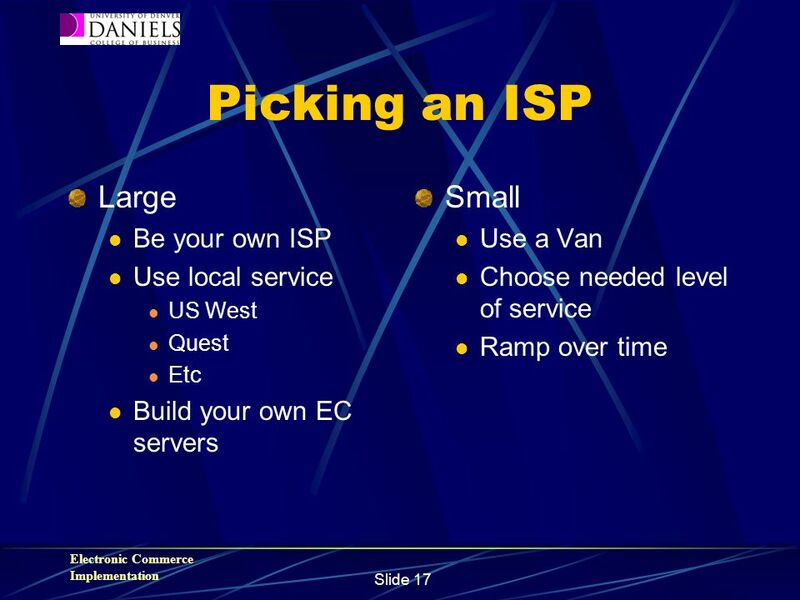 What kind of clicks will be available? 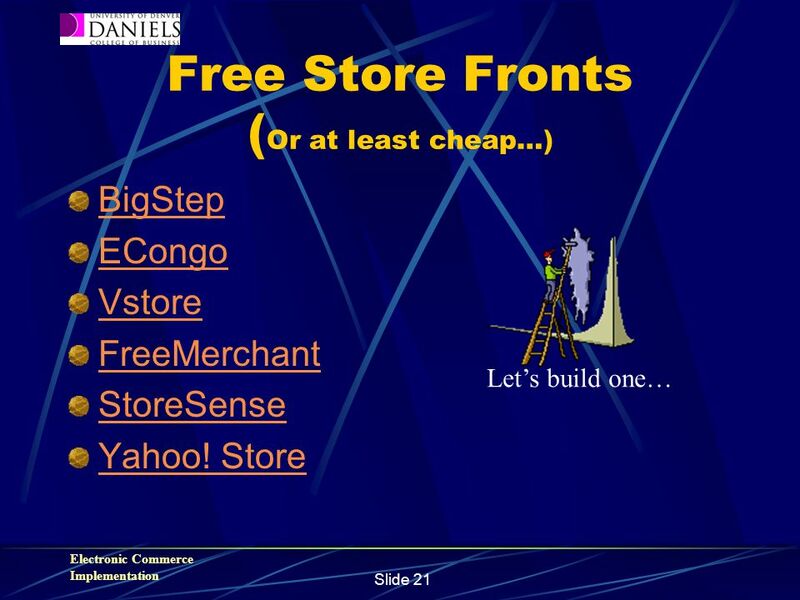 Will you offer any freebies? 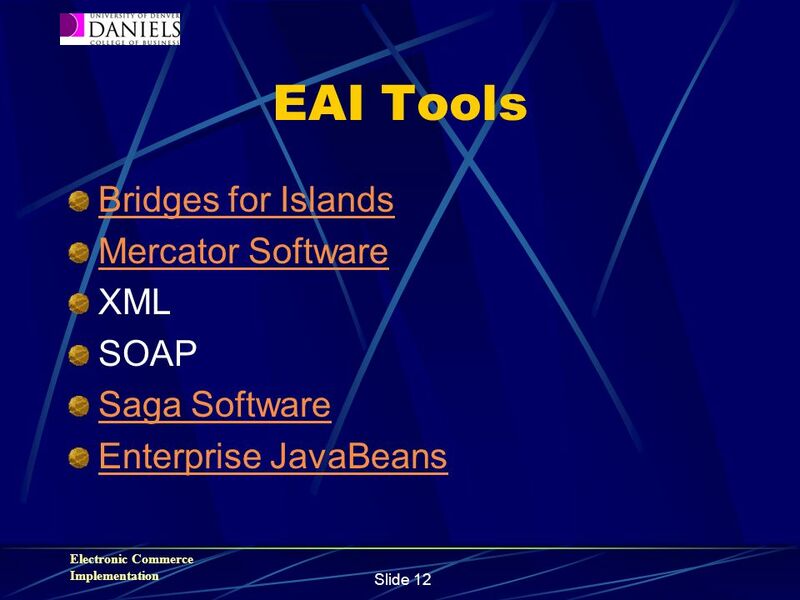 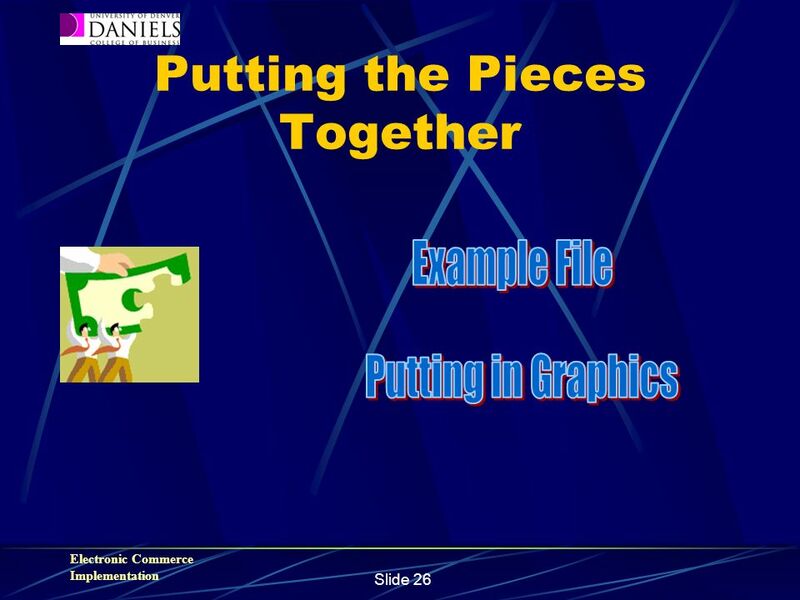 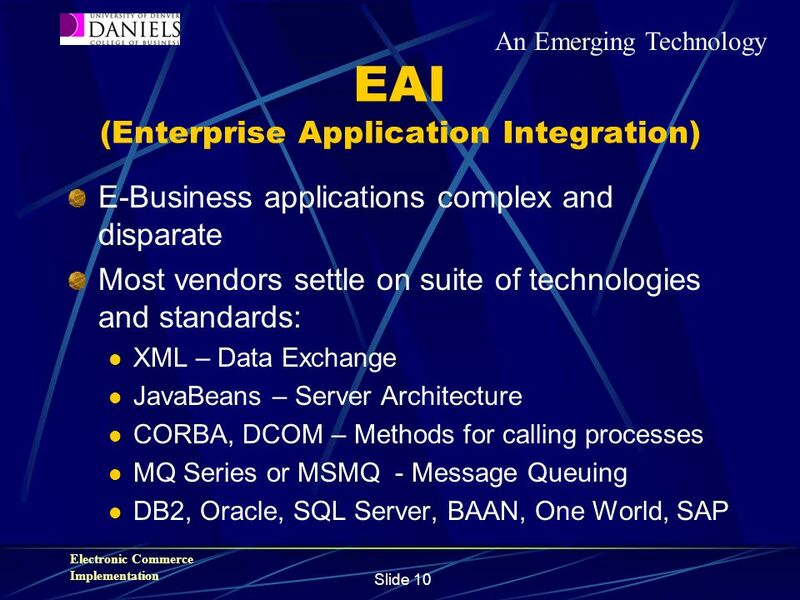 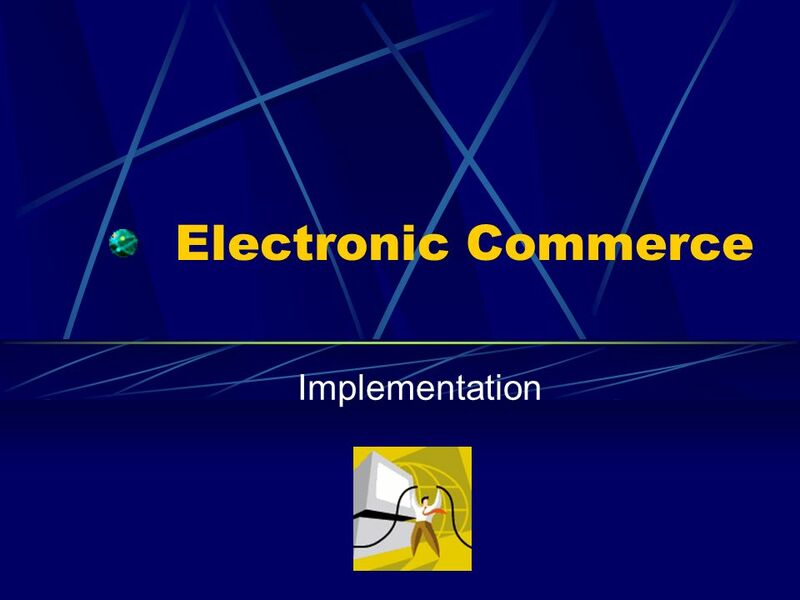 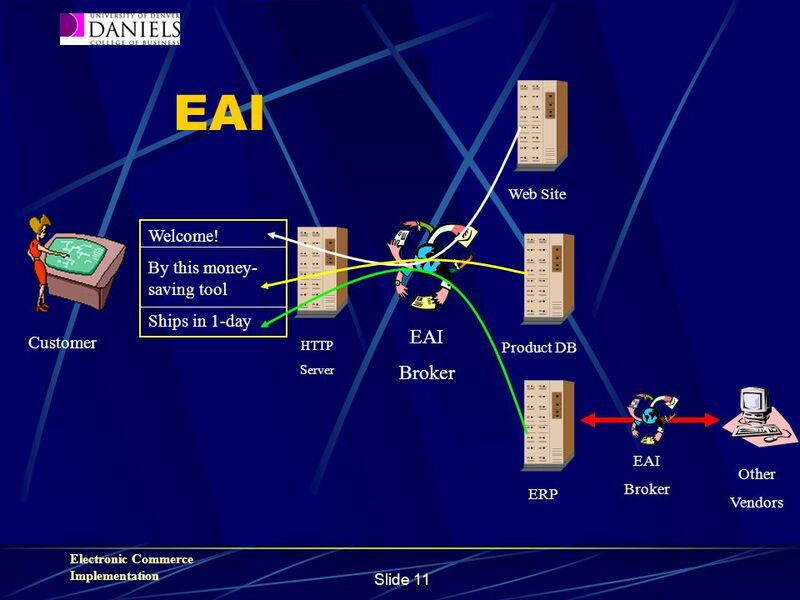 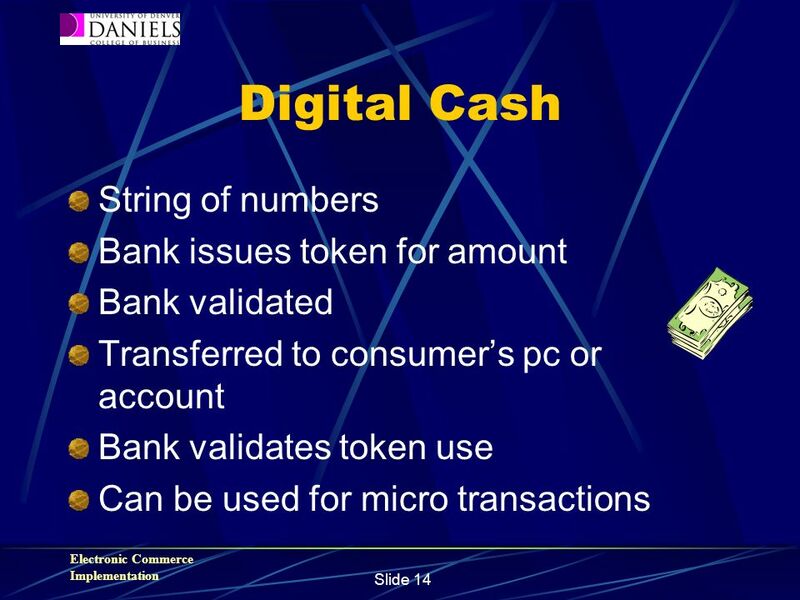 Download ppt "Electronic Commerce Implementation. 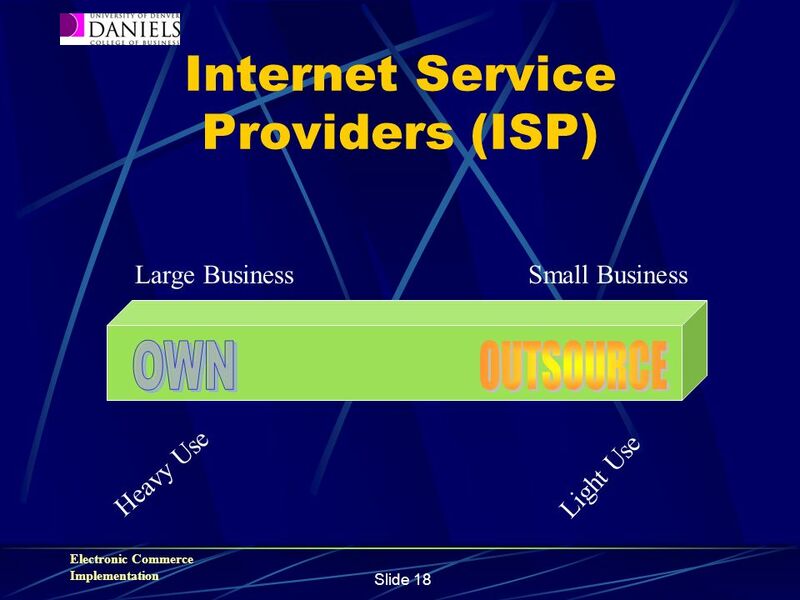 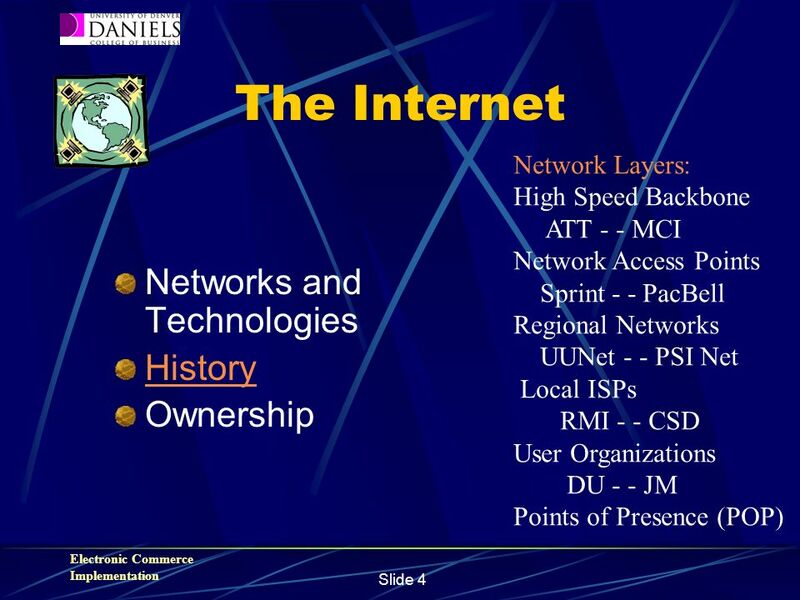 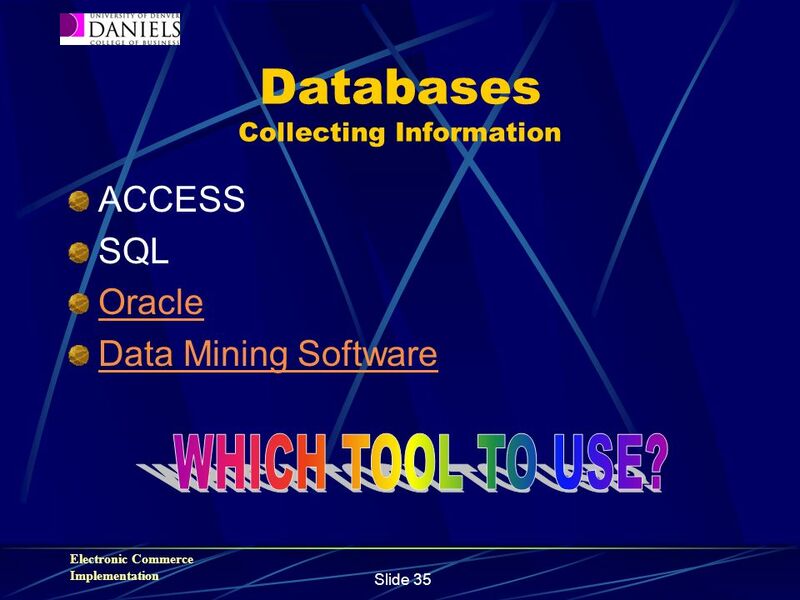 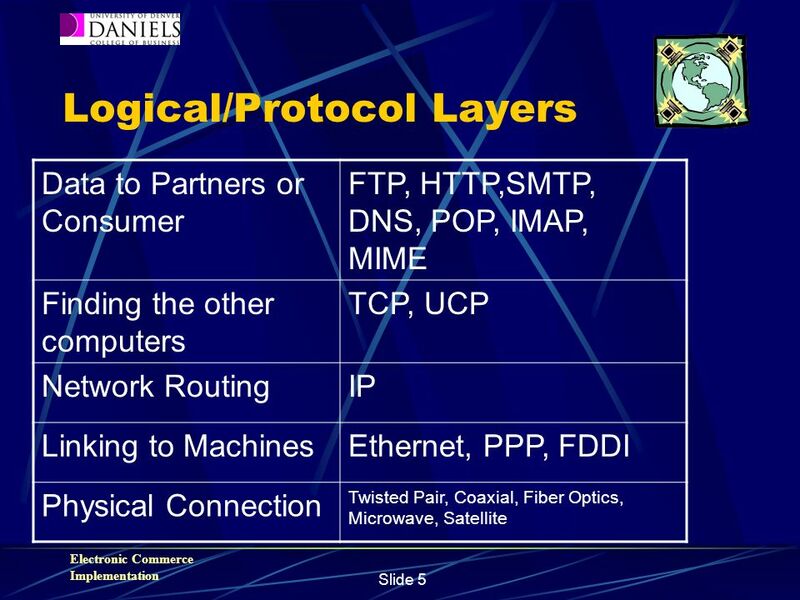 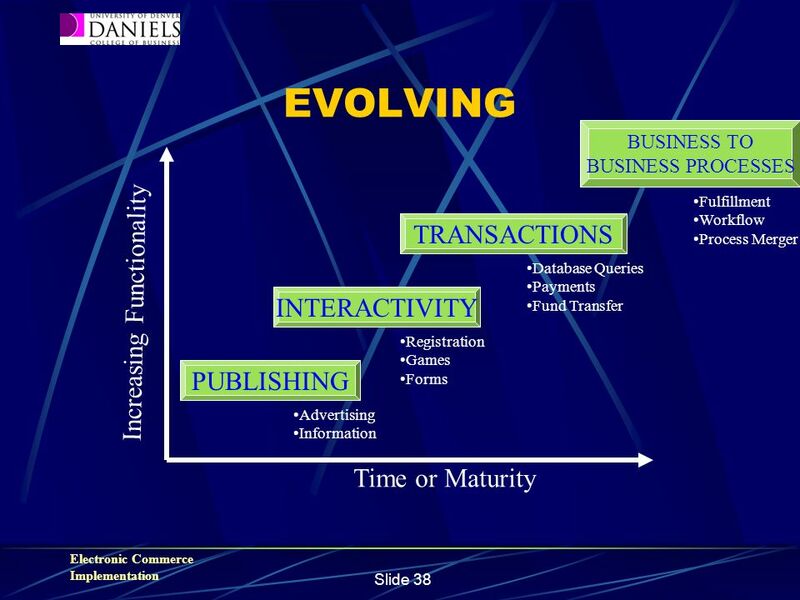 Electronic Commerce Implementation Slide 2 Topics Key Issues Insourcing Vs Outsourcing Internet Service Providers." 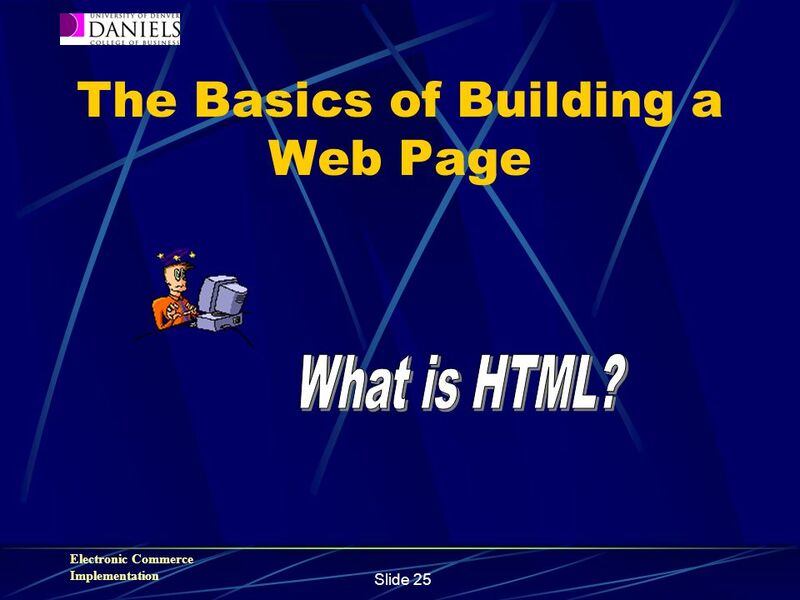 © Keele university 2003 Web Authoring 1 Keele University Stephen Bostock, Staff Development Web Authoring for Teaching Keele All rights reserved.